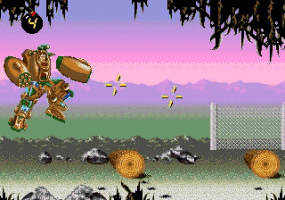 Play ExoSquad online with Sega Genesis browser emulation for free! 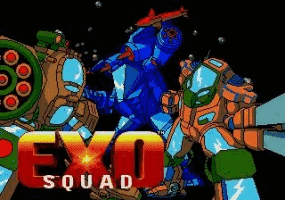 ExoSquad (GEN) game rom is loaded with features in our flash, java and rgr plugin emulators. Nothing to configure, we've done it for you! Become a member of the awesome ExoSquad in cutting edge combat adventure! Three styles of hard-hitting excitement in one game. 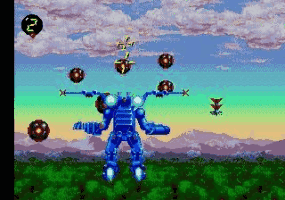 Choose from three different ExoTroopers to blast off in your personalized E-Frame through five action levels and multiple fighting levels. Unique two-player cooperative mode lets two players work together to control one ship! Five fantastic levels. Ultra-smooth animation.